#SteinsGate is about to make me invent a time machine so I can project my consciousness to the next episode! last time, this didn’t end well…. 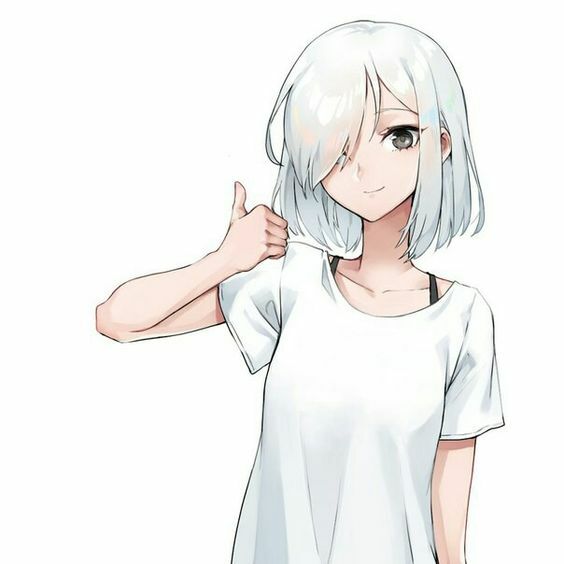 Am I the only one that really likes Moeka. I know that media often portrays serial killers as borderline cool masterminds that are incomprehensible to the common mortal, but I’ve read many articles stating that they are usually slightly below intelligence and suffering from a myriad of mental problems. I tend to really love murders that are depicted that way. Moeka is pretty much a textbook case. Utterly lost and barely able to function due to social anxiety, extremely prone to being manipulated and easy to influence. She is neither smart enough nor self-assured enough to think for herself so it’s almost a relief to have someone else pulling the strings. Of course she would make the perfect assassin.When you couple that with the fact that she is almost unsustainability fragile, liable to burst at any moment and send shrapnel flying all around her, and that she is so desperate for a sense of belonging and acceptance that she will gladly sell her soul. Moeka is as likely to kill herself as to kill you. And yet she remains one of the most physically attractive characters in the show. When’s the last time you saw that particular take on the femme fatale? Steins;Gate 0 is continuing to toy with our memories, both in and outside the context of the narrative. For Okabe, this means having to calmly accept the help of his greatest enemy and nightmare personified. Having tea and a chat with her as if it’s the most normal thing in the world. Denying his memories of the worst time of his life. For Maho, it means trying to come to grips with the loss of her dearest friend by discovering a woman she never even knew, through Okabe’s feelings for Kurisu. Shattering and throwing into disarray the memories she holds closest to her heart. For me, it meant watching Moeka casually cross paths with Mr. Braun, both unknowingly going about their business. Invalidating my memories of everything they mean to each other. It’s an impressive feat to have the emotional impact of the story weight so much more on the viewer than the characters on screen. And for all of us, it meant watching our friends try to find a girl that’s been lost forever and hasn’t been born yet, just to have her miraculously show up out of nowhere, looking exactly like someone that should not be there. The story is almost making fun of us, daring us to rely on our memories by pulling out the ol amnesia trick. From anyone else this would seem like a cheap ploy, but here…? You can’t trust your memories ever! How can you possibly even listen to them when linear time is irrelevant? I thought we would have one of those silly movie moments where someone’s identity should be obvious but everyone acts like they have no idea what’s going on. Why do I never learn? Of course Steins;Gate wasn’t going to be that cheap. Suzuha immediately recognized Kagari who seems to have reacted to Mayuri’s presence as well. Kagari isn’t Kurisu but she looks like her, Amadeus isn’t Kurisu but she sounds like her. Okabe and Maho were the two people closest to Kurisu but neither actually knew her. And as time passes, and memories fade, what will be left of her? Have you guys been paying attention to the news. I haven’t and I’m kicking myself for it. Last week we briefly saw Kurisu’s dad on the news with a story about terrorism I think. This week, it seems the rash of *brainless* corpses is continuing! As a large number of dead chimpanzees and orangutans were found missing their brains. This definitely didn’t happen last time…. Here are some more pics, mostly of Okabe looking really worried. That shoud tell you something! I really don’t watch animes 😀😀. But I am intrigued the way you write. Wow awesome. I liked Moeka in the original, but you sure made me like her even more! Understandably, most of her back story didn’t make it to the anime but I still think she was a fantastic antagonist as far as they go. Okabe does spend a lot of this episode looking really tense. I’m kind of hoping the brainless animals gets an explanation soon. That seemed like a weird tangent but fairly significant given they bothered to play the news broadcast. It’s super interesting. There’s this entire epic playing out in the background and when it comes crashing into the main story it’s going to make waves! Do not underestimate the power of the mighty Oopa to bridge time and hearts! First thing I wondered at the news if we’re going to get an orang-utan Kurisu in the future (it’s gotta be the red-head, no?). Unsung Geniuses – How editors make everything better and where can I find one?